Many of mankind’s finest delicacies have been discovered by accident; sometimes literally. Cheese has probably been discovered when milk had been stored in a calf’s stomach sufficiently long enough for the rennet in the stomach to produce curds. Problems cooks, professional or at home, often meet when preparing starchy foods in a frying pan is that part of it sticks at the bottom of the pan, forming a relatively hard layer that proves tough to get rid up. Scrubbing it is the only solution. However, as long as the stuff that is stuck at the bottom is not too black and burnt, it can actually be very tasty. The physical-chemical reaction produces a whole range of aromachemicals that please the taste buds and the nose (though perhaps less so the eyes). A waiter in a Spanish restaurant in Rotterdam once told me that the rice stuck at the bottom of the pan is the part they like best of their national food paella. Pan is guo in Chinese and to stick ba. The phrase ba guo, getting stuck to the pan, is a negative cooking term. 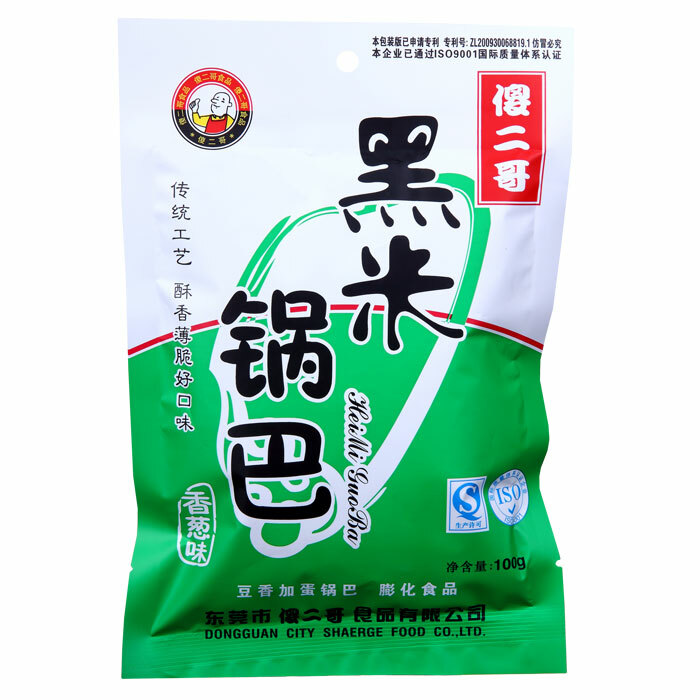 However, Chinese have also developed a liking for rice fried that way, and those two words turned around, guoba, have become the designation of a tasty snack. Guoba is a form of rice that is actually scorched or hard cooked to change its colour and texture. Guoba is popular in many forms of Chinese cuisine, particularly in Sichuan cooking. It is known by many names in different areas of China and surrounding countries, and may even be found worldwide in areas where Chinese cuisine is presented and appreciated. Initially, guoba was made by burning or heavily cooking rice to the bottom of a wok or pot. 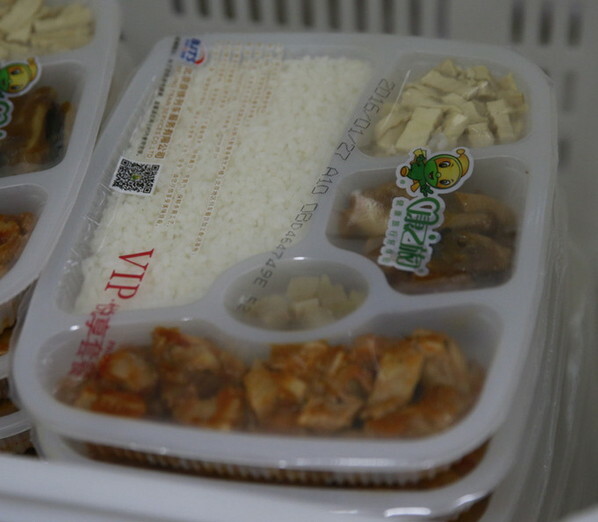 When the cook took out the rice, the leftover rice was used in various dishes. 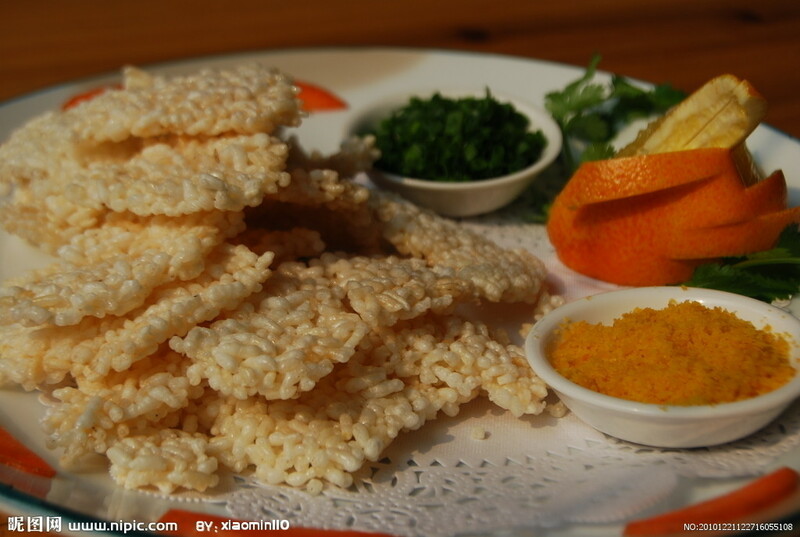 Later, demand for this sort of rice dish led to the commercial preparation of blocks of this crisped rice. 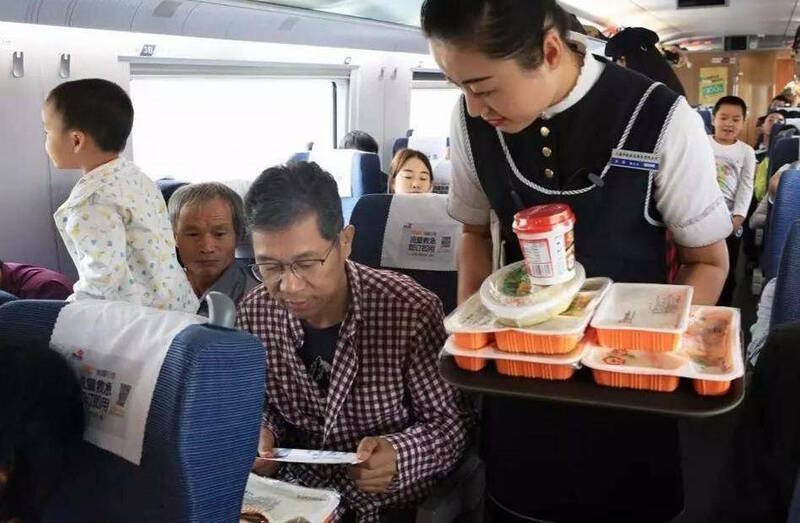 Any kind of Chinese dish can be served with guoba. Some common forms of this scorched rice food include sweet and sour dishes, as well as other international Chinese favorites like lo mein, chow mein, or other dishes. The usual choices of meat, seafood, and vegetable elements like tofu and bean curd apply to many guoba dishes. One thing that guoba offers to cooks is the chance to include a different kind of presentation based on the shape and texture of the rice. Cooks can serve the guoba, with heavy sauces or other elements, in blocks, or crumble the rice onto the plate. The scorched rice stands up to all sorts of innovative culinary uses, which makes it popular in many restaurant kitchens, especially where innovative aesthetic presentation is a part of the culinary strategy. Another form of this food is a “sizzling rice soup” that has become common in some parts of the world. 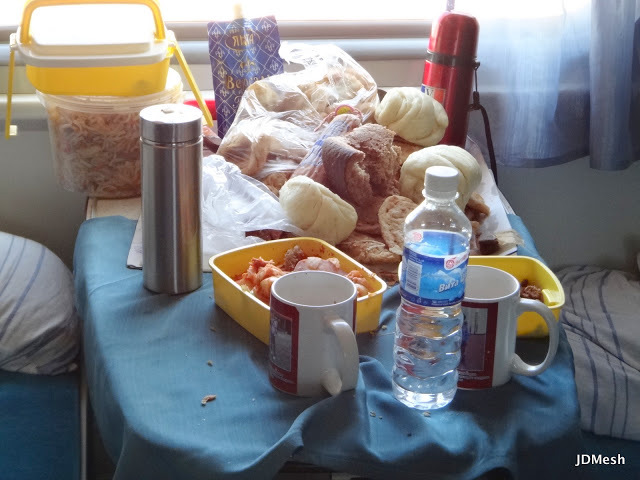 This is not the usual form of the food, so some cooks, even authentically Chinese ones, may not be aware of the use of scorched rice in this particular soup. The general use of the scorched rice in a thinner soup or broth is another way that the rice can be served for a contrasting taste experience. 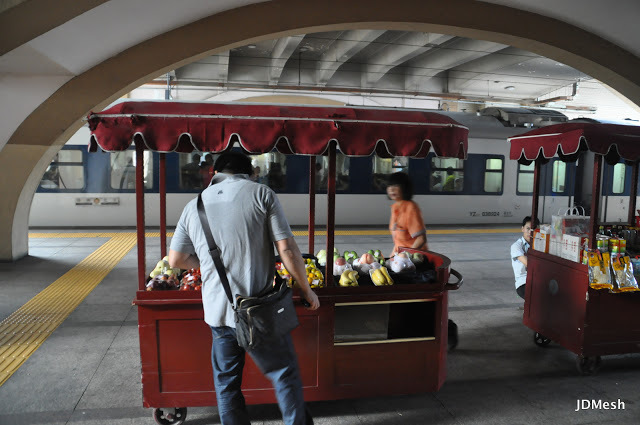 Regular readers of my blog will already have noticed that Chinese are masters in re-creating modern snack food (or in their own terminology: leisure food) from traditional dishes. This is also the case with guoba. 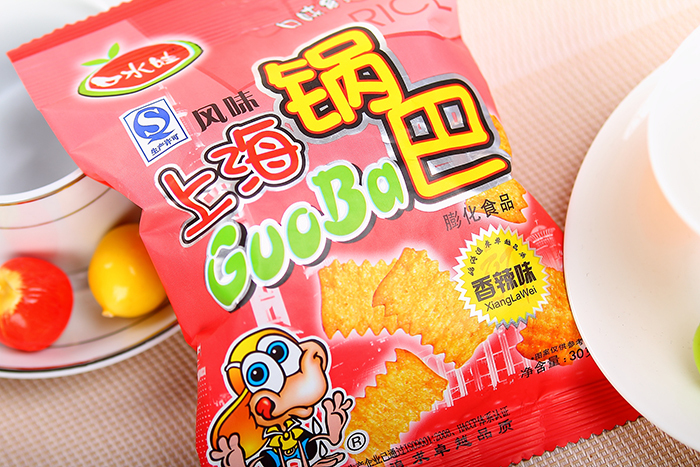 Already in the 1980s, Chinese snack makers launched small squares of guoba with various flavours as the Chinese alternative to the Western potato crisps. When I was stationed in China for my company, we regularly served guoba with the aperitifs when entertaining Dutch or other international guests. The all loved them. Rice, maize, vegetable oil, salt, crystal sugar, MSG, spices, additives (food flavours, rising agent, antioxidant). Rice, black rice, refined vegetable oil, soybeans, starch, eggs, shortening, refined pork fat, salt, MSG, onion spices. It had been relatively quiet on the guoba scene in terms of new developments. 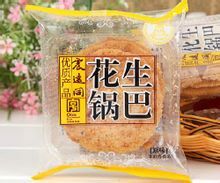 However, Wolong Shenchu (Divine Cook) from Hunan province launched a new type of guoba in 2018: Wolong Guoba. This is definitely a healthier formulation that has cut on fat and MSG. Some flavour houses have already discovered the guoba industry as a separate market segment and have develop special seasoning mixes for guoba. Beijing-based Shanwei Puda Food supplies 4 types: five spices, beef, BBQ and cumin. The ingredients list provided for the cumin mix is as follows. The manufacturer advises a dosage rate of 4% -6% of the weight of the end product. White sesame seeds, peanuts, maltose syrup, flour, vegetable oil, coconut meat, coconut milk powder, salt. Melon seeds, crystal sugar, flour, vegetable oil, salt. 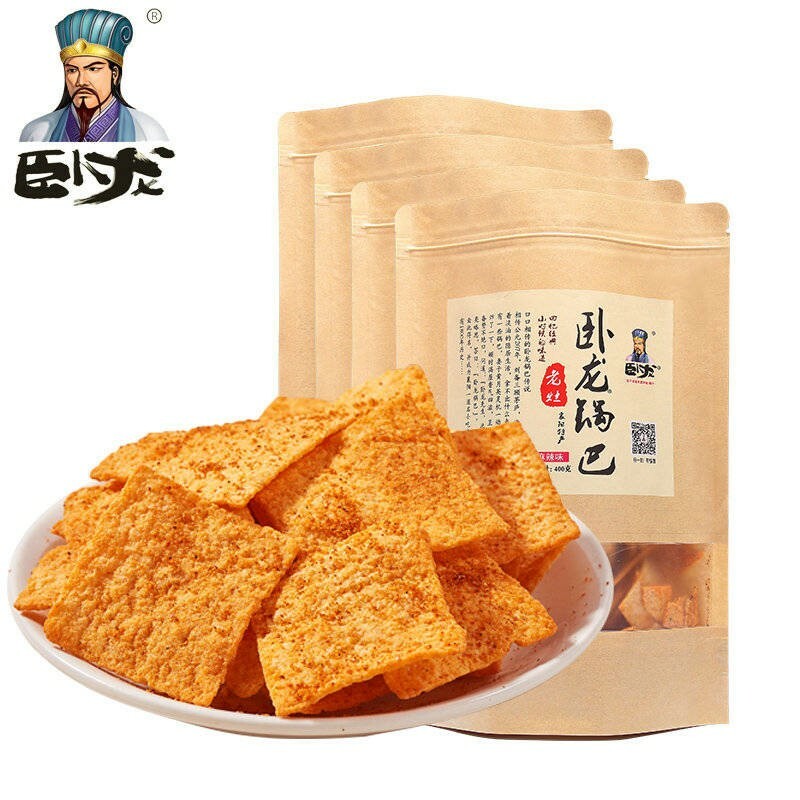 White sesame seeds, crystal sugar, flour, vegetable oil, chili oil, salt. We are eagerly awaiting the following product to add to this post! Eurasia Consult’s database of the Chinese food industry includes 59 producers of various types of guoba.